Smart design. Aluminium keyring. 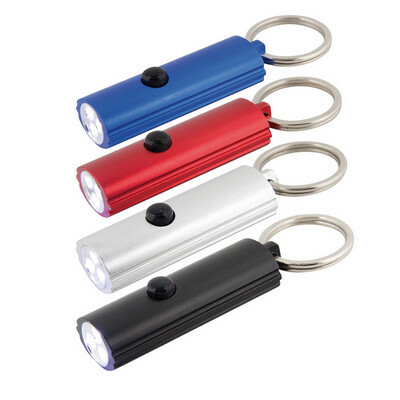 Torch features 3 bright white LED lights. Push on/off button. 4 colour options. Gift boxed. Product Size: 60 x 21mm. Product Packing: Boxed. Decoration Size: 35 x 10mm. Decoration Position: Top of LED torch. Decoration Method: Pad Print | Laser Printing. Carton Quantities: 500. Carton Size: 58 x 25 x 18. Carton Weight: 18. Colour: Black | Blue | Red | Silver. Price includes : Pad Print 1 Colour / 1 Position. Setup is included.